Christmas came a bit early to my PO box this season. Above are only some (can you believe there's more?!) 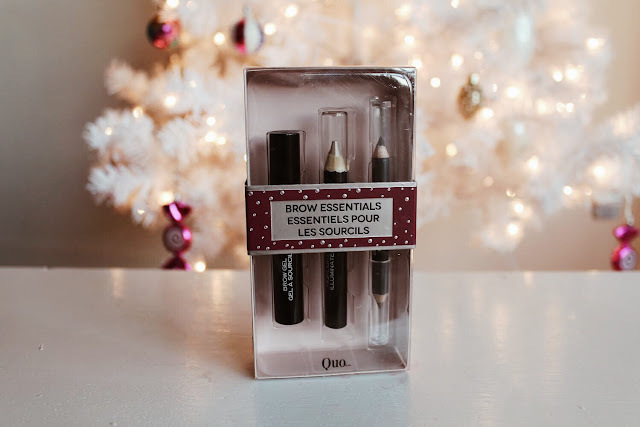 of the 30 kits by Quo available at Shoppers Drug Mart this holiday season. I love when brands put out big collections like this for the holidays, it makes shopping for picky people juuuust a little bit easier. There's also enough range in this collection to buy for tweens to adults. Kits like this look thoughtful and extravagant because there's so much to each one. There's even a few little bits you might want to buy yourself early (advent calender's and Christmas crackers are a must)! 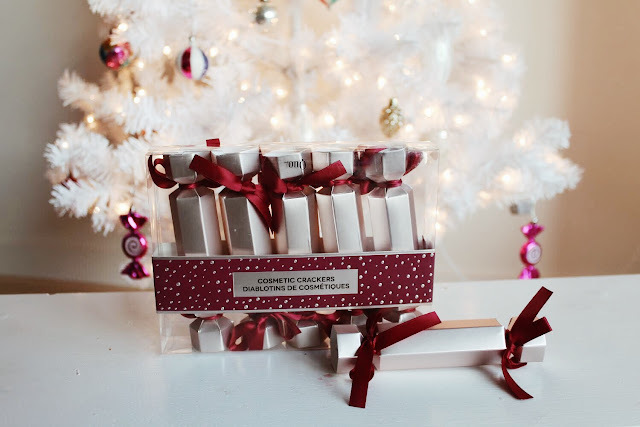 The packaging is cute and festive, and the individual products have sleek and minimalistic containers. Though I haven't used any of these yet, from previous Quo purchases I know this brand makes quality items with good pigmentation. 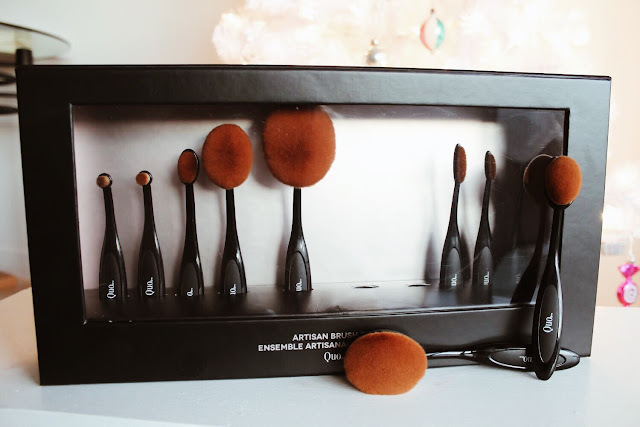 My favourites right away were the artisan brushes and the luxury lipsticks. Below you can find all of these kits listed in order of the photos above and I've also listed the prices. I found everything to be quite reasonably priced given the amount of product. 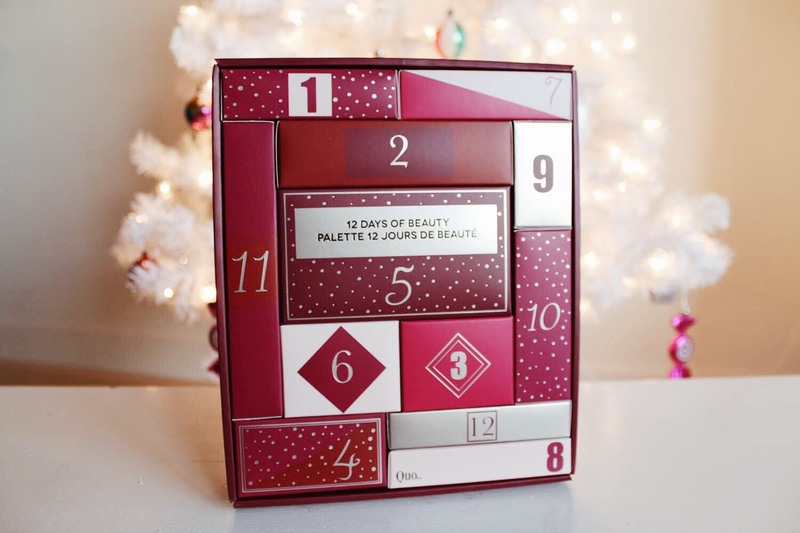 If you want to check out the other kits available take a peek on the shoppers drug mart website! Have any of these kits caught your eye? 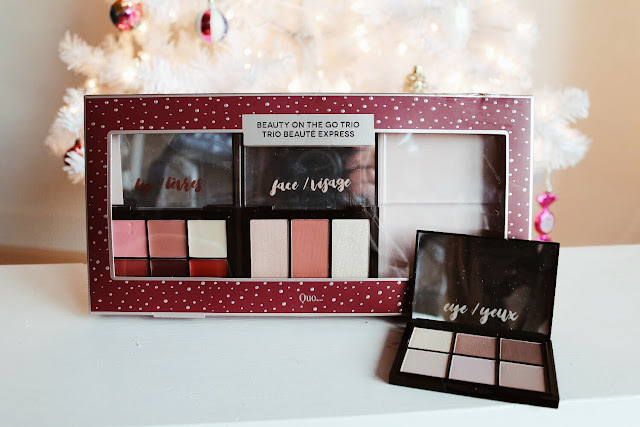 Have you tried any Quo cosmetics before? What did you think? Let me know below! 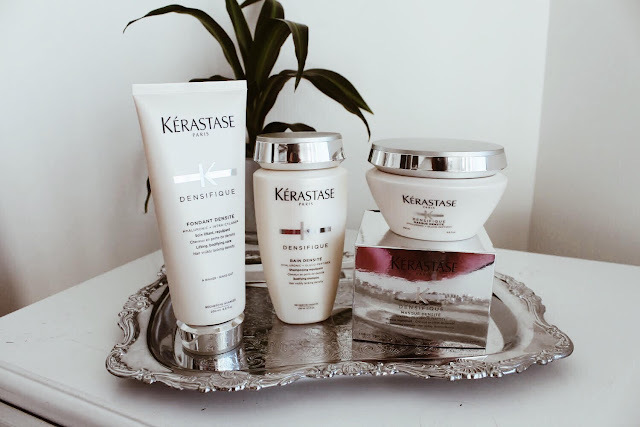 I will be reviewing three of Keratase's hair care lines, the ones that are best suited for my thin, damaged, and unruly hair over the next three weeks. First up is their Densifique range, for thin and dull hair. I'll start by saying their packaging is perfect. It feels expensive, classy, and like it won't break when I drop it ten times in the shower. They smell incredible, but may be too strong if you're scent sensitive as the perfume of them sticks around. These products are definitely pricier than most, but after seeing such a difference in my hair and extensions I definitely believe they're worth it. I also feel like picking out one of these ranges that best suit someone's hair type would be an amazing Christmas gift idea! These products all contain hyaluronic acid (found in our skin to hold moisture), gluco-peptide (enhance the quality of hair fibres), and ceramides (adds strength to reduce breakage). 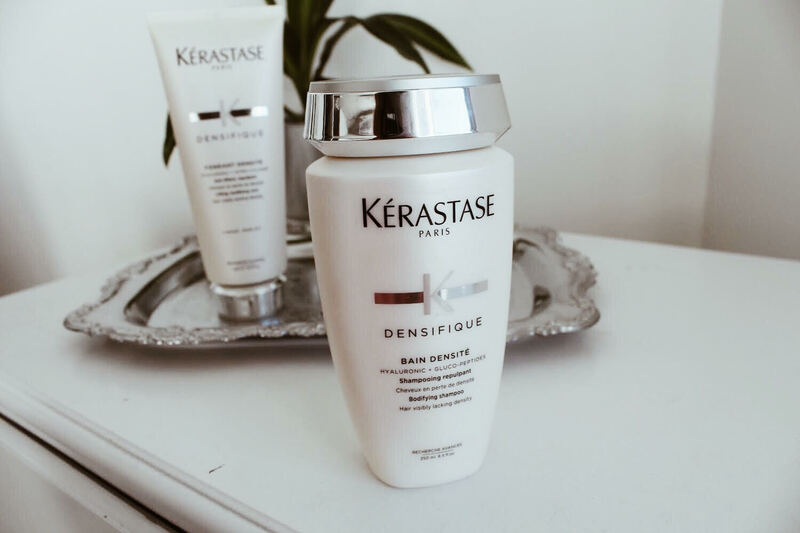 This conditioner leaves no heavy feel to your hair yet still gives it moisture and body. It untangles my extensions with ease, and takes no effort to rinse out. I'd give the conditioner a nine out of ten! This shampoo provides thickness, substance and tone. I definitely noticed, after my usual blow dry routine, my hair had much more volume. 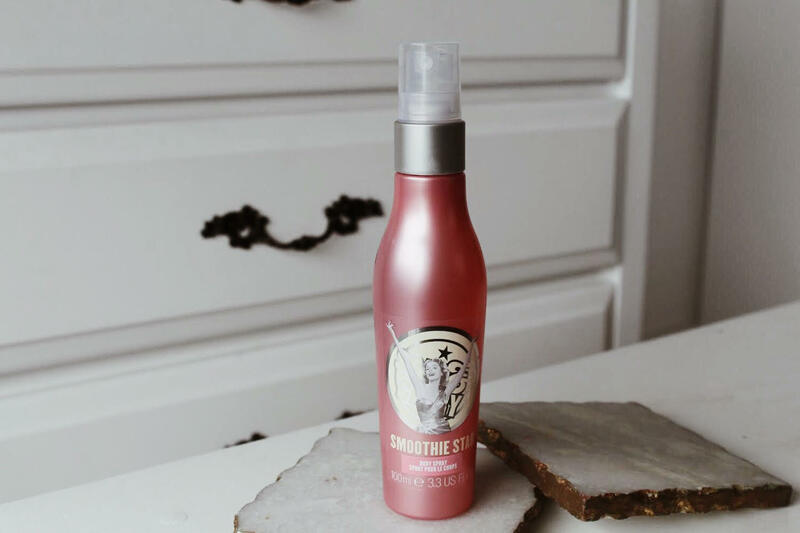 Only downside is that I have A LOT of hair, may it be thin, so with this size bottle I will be running out soon :( Only because of this, I'd give it seven out of ten. I am obsessed with hair masks. I have tested sooo many over the years, and I'm in love with this one! 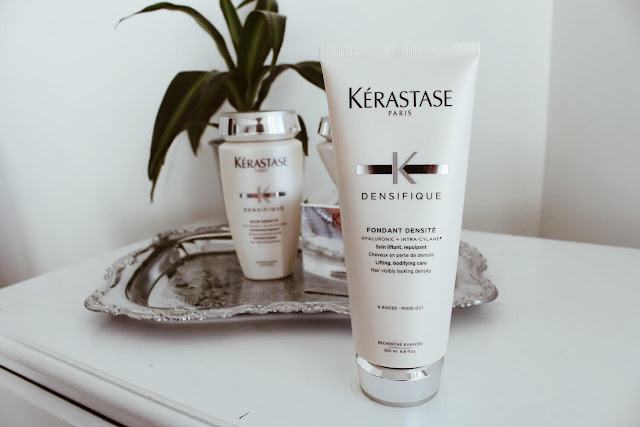 I have been testing each product out separately (how scientific of me) and this also provided volume and life to my hair. It also leaves my, sometimes stubbornly coarse, extensions extremely soft and smooth. A ten out of ten for this mask! 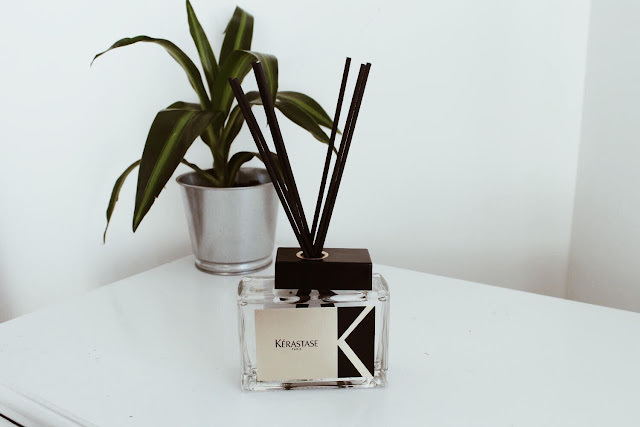 They also sent along this amazing reed diffuser!? I don't know if they're for sale or where but I really recommend it. I've never had one before and this massive bottle immediately filled my apartment with the most gorgeous floral yet deep fragrance. 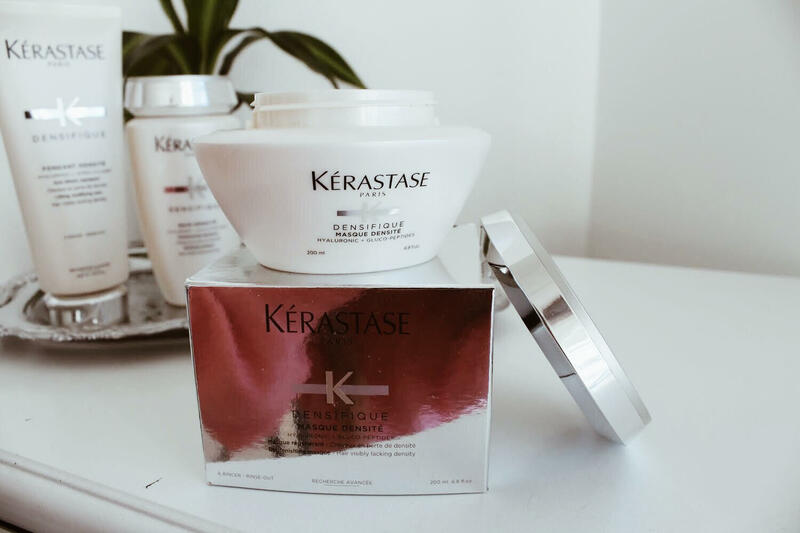 Have you tried any Kerastase products before? Have any favourites? Let me know below and don't forget to leave a link to your blog/insta so I can check you out! I'll start by saying I've never tried any Soap & Glory before! I always walked past it in Shoppers Drug Mart and wished I could get it all, the packaging is more than cute. 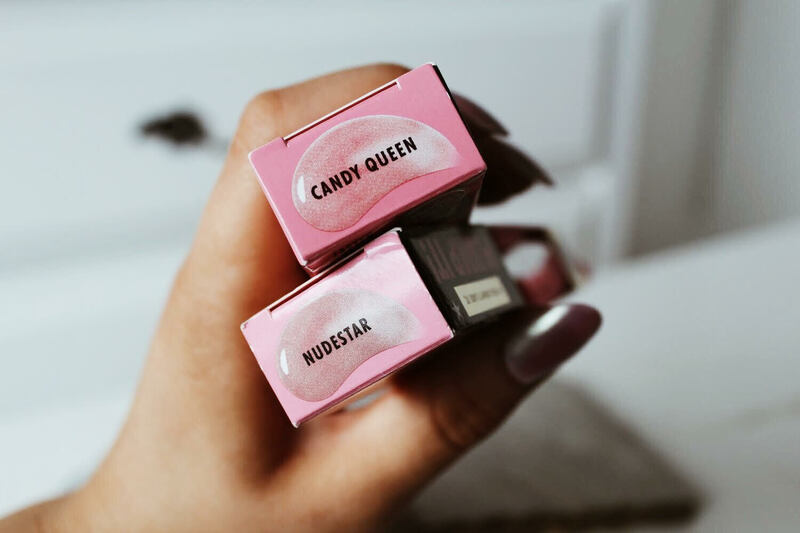 These lip glosses make your lips sting a bit but leave you with a puffy look. I could do without the glitter (just not my style) but they really do work. New and improved with "superfill" plumping spheres and "lipswell" natural plant oils for a smooth finish. I'm pretty much obsessed with cleansing clothes so I love testing new ones. These ones smell amazing and are suppose to purify your t-zone. I welcome anything that claims it can help my pores while removing my makeup. I honestly have not used a body spray in years, maybe even since high school locker room days. There's really no reason I stopped using them, I sometimes choke up on how heavy the perfume is I decided to coat myself with... so I appreciated this throwback. I received the Original Pink scent which is sweet but refreshing. The scent sticks around with you all day, even if very lightly. 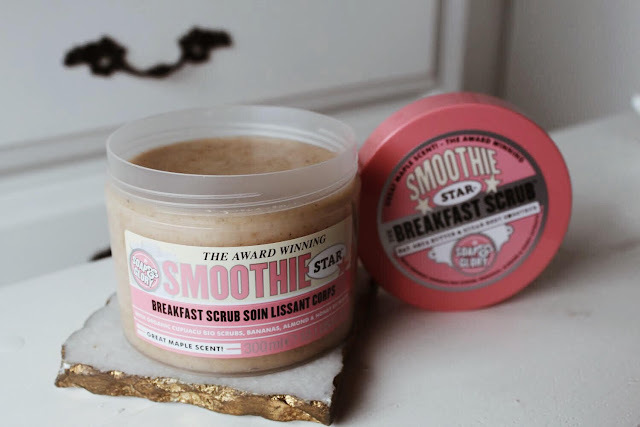 I've been using it each day and I definitely want to try out the other two scents, Smoothie Star and Sugar Crush. Love how big this 500ml bottle is. This is their new scent in Sweet Lime, I definitely didn't think I would like anything lime but this is quite fresh and warm at the same time. I love how big the bottle is and how it has a convenient pump. I found myself grabbing for it throughout the day. It feels great on my legs and hand and soaks in nicely to the skin without residue. 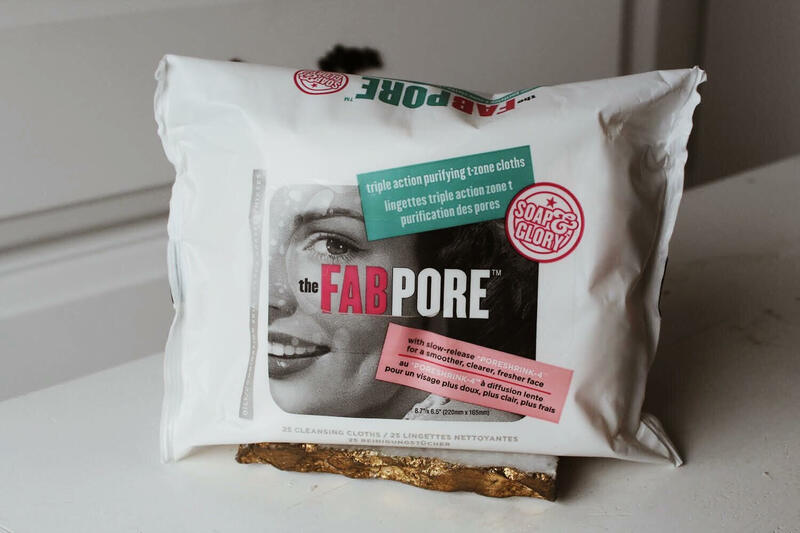 Another item from their Fab Pore line. Again, anything that claims to help my pores is a go for me. I've worn this under my makeup a few times and I really like how it looked. I've been applying it evenly with a foundation brush and really have enjoyed it (and its refreshing scent)! 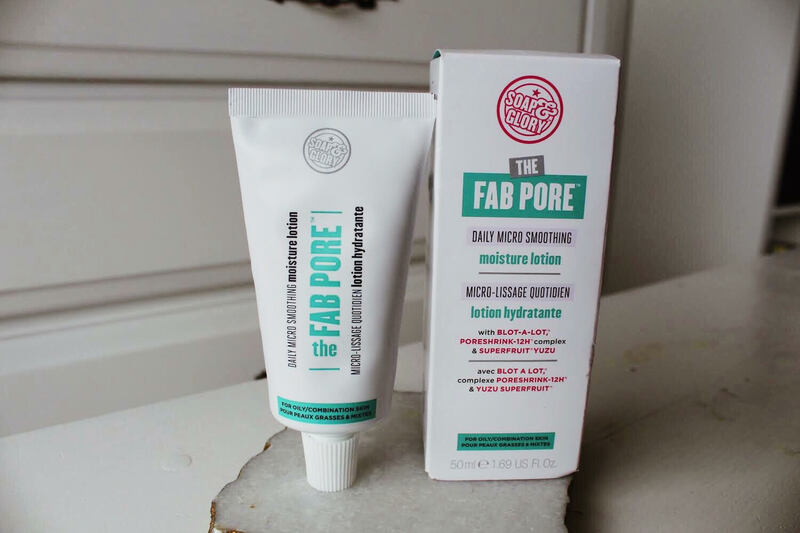 I've wanted to try this stuff for years, ever since I saw Zoella raving about it. This is their new great maple scented scrub and it really does smell amazing. Definitely a perfect addition to a Canadian product release. The product not only scrubs skin but also uses three moisturizers (sea butter, glycerin, and sweet almond oil) to add life back to your skin. I fake tan a lot so this is a new staple in my pre-tanning routine. All products are now available at Shoppers Drug Mart! I received these products for testing purposes but all opinions have been my own :) Have you tried Soap & Glory before? What product would you like to try from above? Let me know below!